An ecosystem at your service? An ecosystem at your service? in The Land, Winter 2008/9: 21-23. Online here. receiving these ecosystem services should start to pay for them. Money grows on trees? 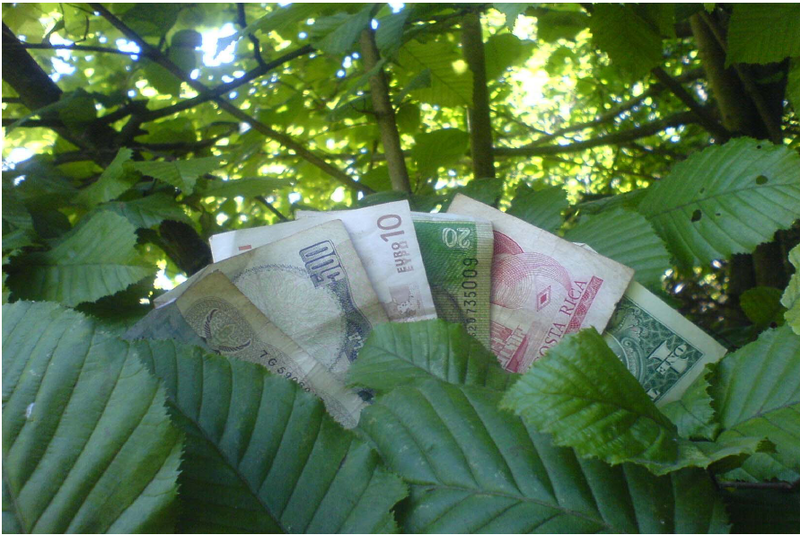 Source: UNEP/IUCN 2007 Developing International Payments for Ecosystems Services: Towards a Greener World Economy, online. http://www.unep.ch/etb/areas/pdf/IPES_IUCNbrochure.pdf, p. 1.